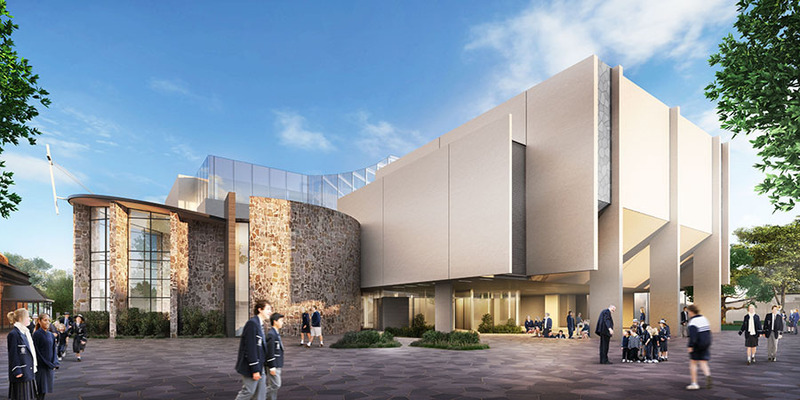 An invited design competition was held by Pulteney Grammar School to develop the new Creative Hub, Performing Arts Centre and the 190 Senior School Hub. 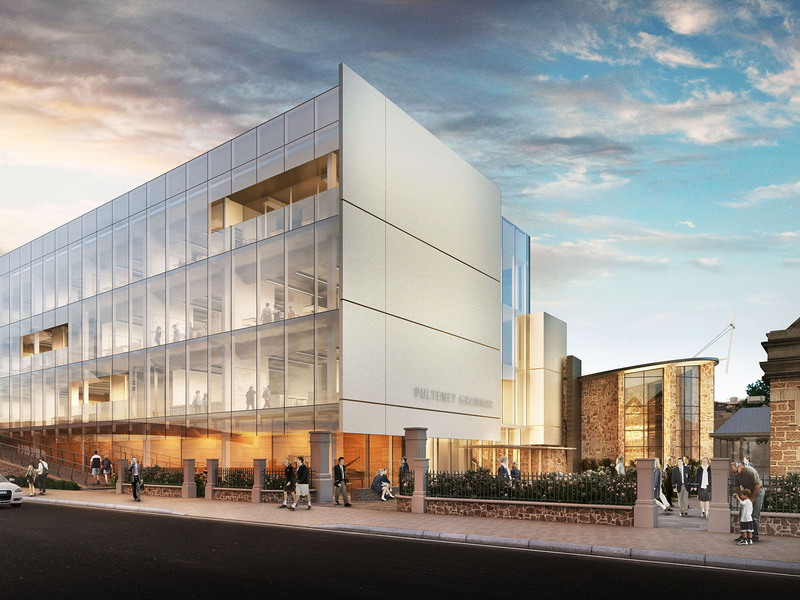 Walter Brooke’s winning proposal included a dedicated performing arts auditorium to seat 500 guests with associated band rooms, practice areas and education spaces, the refurbishment and extension to the existing Chapel and a multi-storey senior school which included general learning areas, common breakout spaces, laboratory facilities and staff amenities. The school’s brief for combining the performing arts and 190 sub-school into a single building is a strong education statement which provides the catalyst for the creation of an inspirational place for a community of learners.